Man it doesn’t get much more average than that press conference. Microsoft and Bethesda did such a good job setting the bar for E3, that it almost seemed like EA, Nintendo and Square Enix were just pulling down the mojo of this great E3. Just Cause 3, NieR New Project, Rise Of The Tomb Raider, Lara Croft GO, Final Fantasy 7: Remake, Kingdom Hearts Unchained (iOS title), Kingdom Hearts III, World Of Final Fantasy, Hitman, Star Ocean: Integrity and Faithlessness, and finally Deus Ex: Mankind Divided. Square Enix certainly brought the smallest lineup which is supposed to mean more time on each title right!? Nope! Most of the time was spent translating for the nine or so Japanese speakers at the showcase or listening to the creepiest narrator from any of the showcases. Just Cause 3 was a nice surprise to see a full explosions trailer. I don’t know why but having the release date in December just feels right as well. NieR is a very niche market for Square Enix but I hope it works out for them. Rise Of The Tomb Raider is obviously well loved but they showed the same trailer that was showed at Microsoft yesterday and the only difference was that they showed how they make character models… which seemed the same from anyone else’s character models. The mobile games section was as dull as you would imagine. Final Fantasy 7: Remake was the same trailer as from Sony. Kingdom Hearts Unchained is a iOS and Android version only but still looks nice. Kingdom Hearts III is a actual full version but it wasn’t said on release date at all. World Of Final Fantasy was the exact same as from Sony. Hitman was interesting to look at as it was the first real trailer and gameplay from the game. Apparently contracts expire and disappear forever in this ever changing world so it actually gives you incentive to move and plan well. We are actually very much looking forward to this game now. Star Ocean: Integrity and Faithlessness was another very niche market game that is coming to North America. 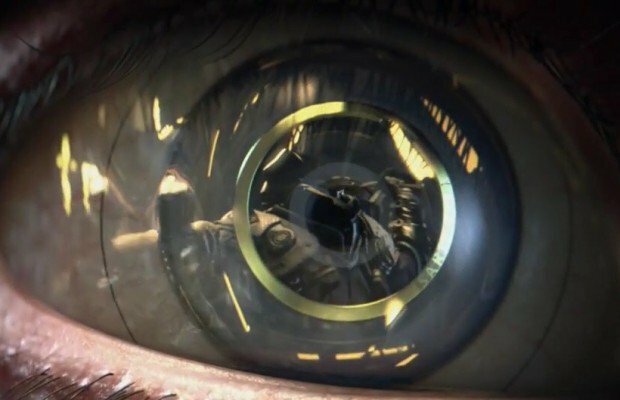 Deus Ex: Mankind Divided was where Square Enix should have shined but it honestly made us turned off from the game. The trailer was interesting sloppy and only showed very little of the actual game. Adam Jensen’s voice actor just seemed off and the trailer as a whole wasn’t great. Oh well, I am sure the game will turn out great. Well that is all we got from Square Enix… and that is pretty much it in terms of Press Conferences so I hope you had a good E3!